The sleek electronic tools that have become so ubiquitous—laptops, iPods, eReaders, and smartphones—are all powered by lithium batteries. Chances are you’ve got some lithium on your person right now. But aside from powering a mobile twenty first-century lifestyle, the third element on the periodic table may also hold the key to an environmentally sustainable, oil-independent future. From electric cars to a “smart” power grid that can actually store electricity, letting us harness the powers of the sun and the wind and use them when we need them, lithium—a metal half as dense as water, created in the first minutes after the Big Bang and found primarily in some of the most uninhabitable places on earth—is the key to setting us on a path toward a low-carbon energy future. It’s also shifting the geopolitical chessboard in profound ways. 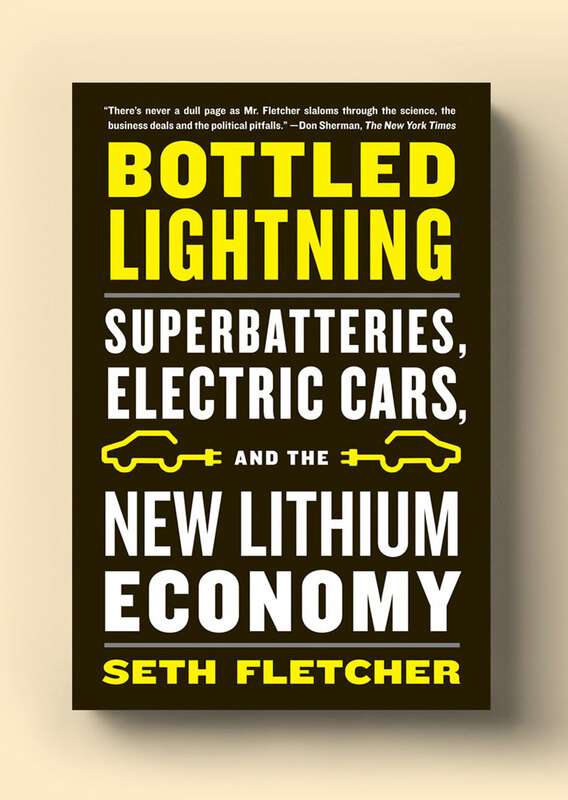 In Bottled Lightning, the science reporter Seth Fletcher takes us on a fascinating journey, from the salt flats of Bolivia to the labs of MIT and Stanford, from the turmoil at GM to cutting-edge lithium-ion battery start-ups, introducing us to the key players and ideas in an industry with the power to reshape the world. Lithium is the thread that ties together many key stories of our time: the environmental movement; the American auto industry, staking its revival on the electrification of cars and trucks; the struggle between first-world countries in need of natural resources and the impoverished countries where those resources are found; and the overwhelming popularity of the portable, Internet-connected gadgets that are changing the way we communicate. With nearly limitless possibilities, the promise of lithium offers new hope to a foundering American economy desperately searching for a green-tech boom to revive it.